MREA’s Milwaukee Office is located within Escuela Verde, a public charter school in Menomonee Valley. The MREA partners with the City of Milwaukee’s Milwaukee Shines program and neighborhood associations, co-ops, radio stations, art galleries, libraries, and more to offer Group Buy Programs. Successful group buys have been run in a number of Milwaukee neighborhoods, helping over 100 homes and businesses go solar. What is a Solar Group Buy? A solar group buy is when community members form a group and use their collective buying power to save on the total cost of going solar. The program can help residents invest in lower cost solar installations through the power of volume purchasing. You do not need to be a City of Milwaukee resident to participate – the group buys are open to all Southeastern Wisconsin residents and business owners. However, the main focus and outreach is concentrated in the targeted neighborhoods. To learn more, we recommend attending a free Solar Power Hour presentation to discover the benefits of solar energy for your home, small business, or farm. This one-hour presentation discusses solar market trends, describes the basic components of a solar photovoltaic (PV) system, outlines the evaluation process for installing solar PV, and introduces incentive options and economic benefits. Would you like to get a cursory overview of your home’s solar window? Do you need to complete your practice site assessments for your MREA Site Assessor Certification? 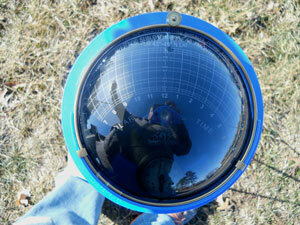 You might want to consider renting an MREA Solar Pathfinder! 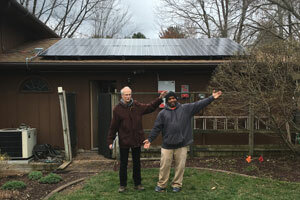 The MREA Milwaukee office has Solar Pathfinders available for rent. The Pathfinder Rental only occurs at the Milwaukee office, and is a benefit for MREA members only. 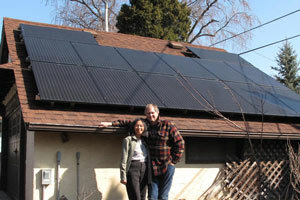 The Solar Pathfinder can be rented from the MREA Milwaukee office for a total of 10 days. The cost of the 10-day rental of the Solar Pathfinder is $50. Contact the MREA Milwaukee office to schedule a rental: 414-988-7963. The MREA Milwaukee office is located in Escuela Verde, 3628 W Pierce Street. Check out the activities of other awesome Milwaukee area environmental organizations through the Milwaukee Environmental Consortium.